An Emeral Cut Diamond Pendant, Gold coin, and Framed Pink Glass Pendant make this the perfect layered necklace set for any girl! 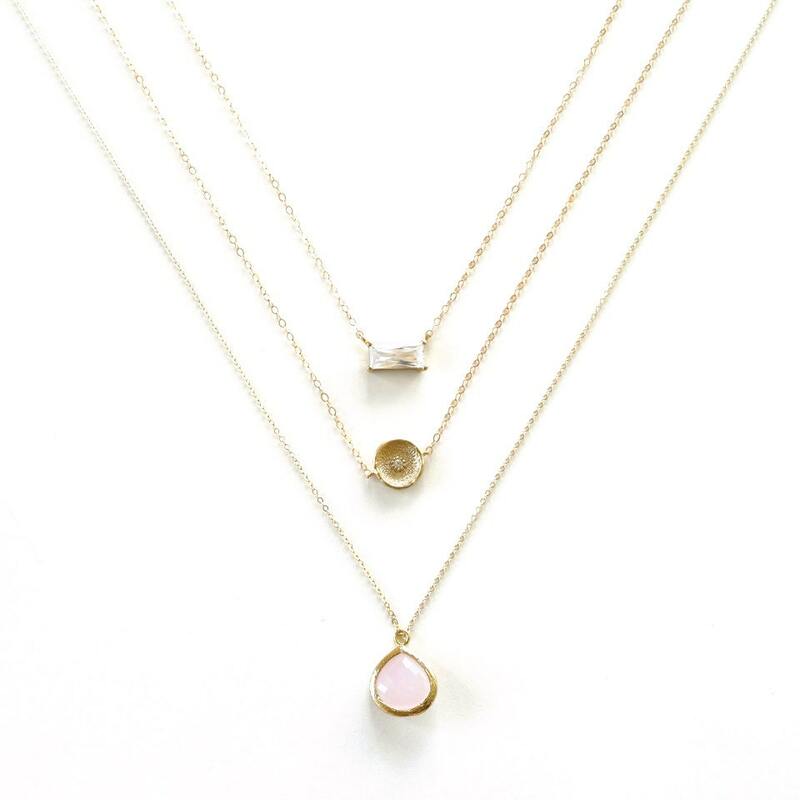 This simple, minimal gold layer necklace looks fresh with any outfit! These layers look fabulous alone, or layered together for a unique look. Check out the second photo for an idea of size and length. The model is wearing the top necklace at 16", the second necklace at 18" and the bottom necklace at 20". She is around 5'6". 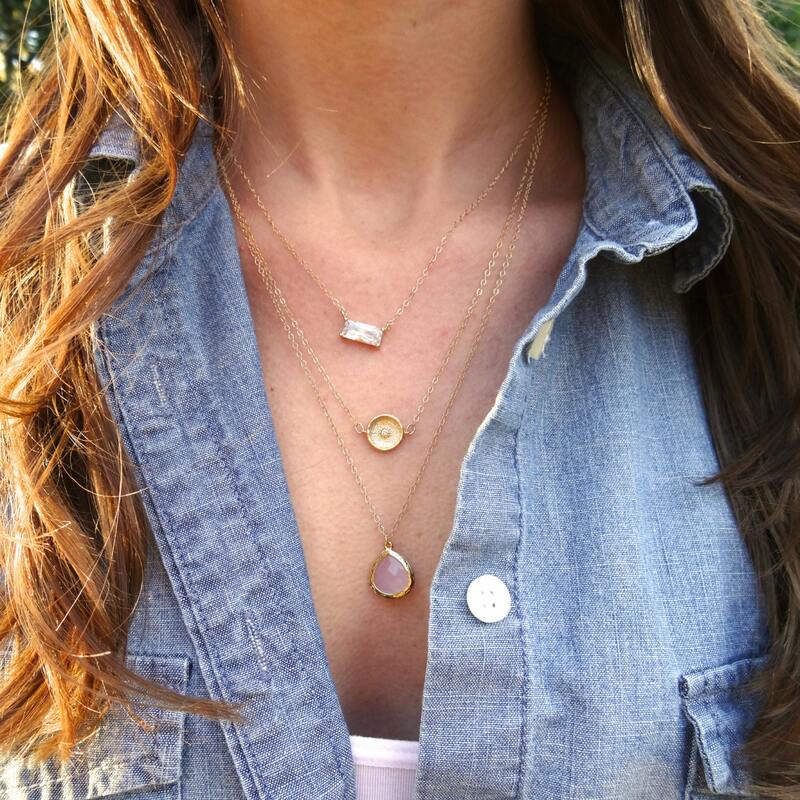 » All necklaces are on a 14k gold filled chain which is guaranteed to retain its luster for years! » Varying lengths (select at checkout). 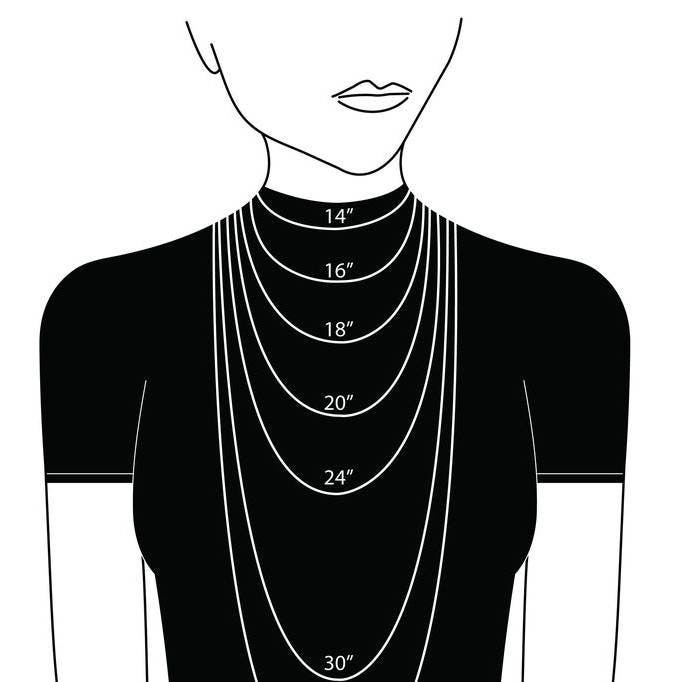 Length refers to the shortest necklace if you order multiple necklaces. Necklaces will be staggered by 2". Love it! Got the top 2 necklace combo and they are prettier in person. Thanks again!! Love it! Looks great with the others I purchased. Beautiful!! Gorgeous!! Was supposed to be a gift, BUT. 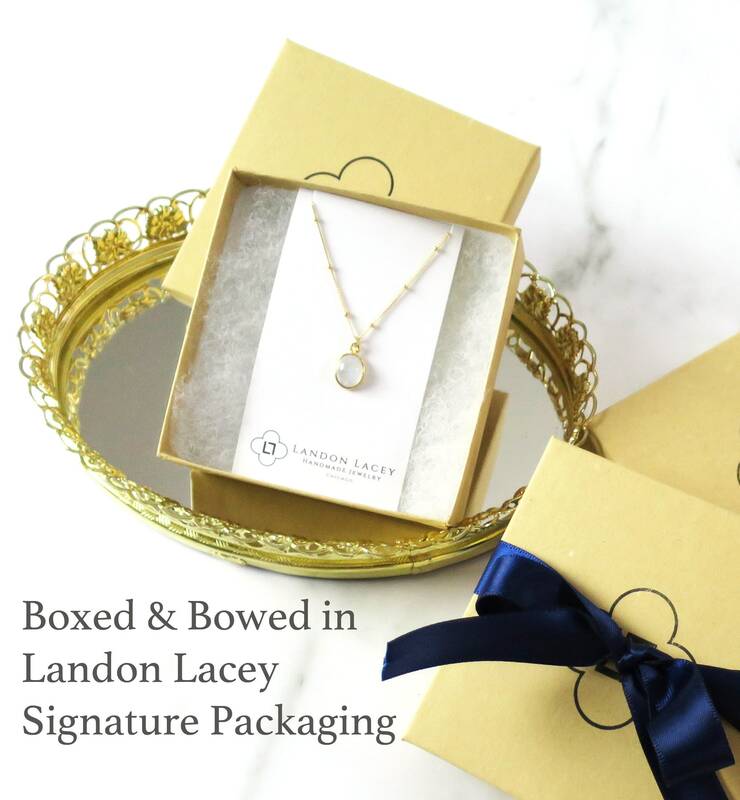 . . . . Super fast shipping, in a lovely gift box.